The three-person Expedition 43 crew with Commander Terry Virts and Flight Engineers Samantha Cristoforetti and Anton Shkaplerov are the sole occupants of the International Space Station right now. They are getting ready for upcoming module relocation work and preparing for upcoming science work. Virts installed a connector cap and a power cable to get the station ready for the Permanent Multipurpose Module relocation this summer from the Unity module to the Tranquility module. A new exercise device, the Muscle Atrophy Research and Exercise System (MARES), will be commissioned Tuesday for which Cristoforetti reviewed MARES overview materials. She was also troubleshooting the BioLab for work with the TripleLux-B experiment which studies cellular mechanisms in microgravity. Soyuz TMA-16M Commander Gennady Padalka and One-Year crew members Scott Kelly and Mikhail Kornienko have left Star City, Russia, and are heading to the Baikonur Cosmodrome in Kazakhstan. There the trio will launch March 27 to join Expedition 43 at the orbital laboratory. 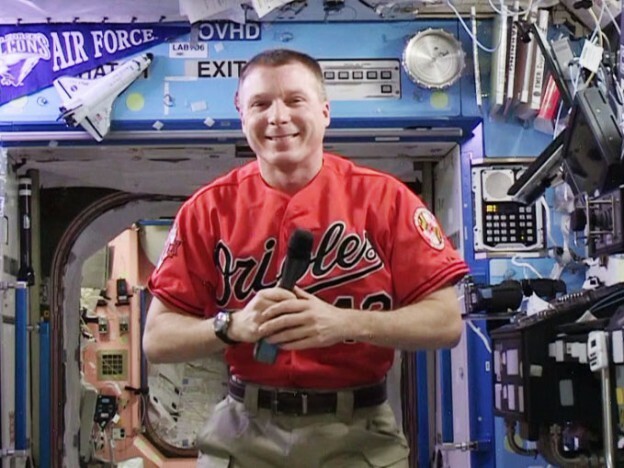 Kelly and Kornienko will stay in space until March 2016. Padalka with return to Earth Sept. 11.